Get swept away to times past. Fourteen authors share the history and setting of their books or book excerpts. When I was asked to participate in this event showcasing MM historical fiction and historical fantasy, one of my books immediately came to mind. On Wings of Song begins with the Christmas Truce in 1914 during WWI. I’ve always been interested in the time periods around both world wars, and how those events affect people. Wartime brings out the best and worst in people as they often find themselves in situations they wouldn’t normally. By December 1914, the war had been raging for five months, and people were losing hope that it would be over by Christmas. Along Europe’s Western Front, men in trenches on both sides of the conflict laid down their weapons and celebrated Christmas together. They shared food, gifts, and sang carols. Some exchanged belt buckles and uniform buttons. The English and German soldiers also played a football match in no man’s land. Both sides took advantage of the truce to work together to bury the fallen, and hold a Christmas service. After the truce, many of those involved protested about killing an enemy who now had a human face. They’d struck up a brief friendship with some of the men they were ordered to shoot at and it was difficult to continue to believe in the propaganda fed to them. Those in authority were not impressed, and many of the units were disbanded, and the men sent elsewhere, away from the influence of others who shared their views. It was many years before the truth of what had happened came out. Letters home were censored, and many thought the truce, and the stories connected to it, was a myth. Reality often gets lost amongst the fiction, and one of the reasons why it’s important to remember this moment of humanity during the madness of war is so that people know it was a real event. As part of this event On Wings of Song will be on sale at Dreamspinner Press for 50% off its usual retail price from 10th -26th December. 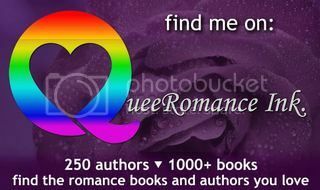 Now discover a new author. Find a new book to read. This entry was posted in blog tour, On Wings of Song. Bookmark the permalink.